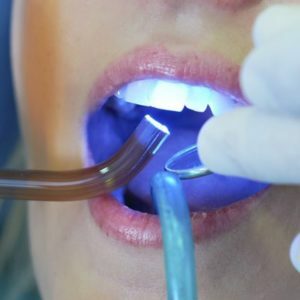 In recent years, a growing amount of research has firmly established connections between an individual’s oral health and his or her overall health. Studies have found connections between gum disease and tooth decay and a number of chronic, long-term illnesses, including heart disease, stroke, diabetes, Alzheimer’s disease, obesity and even cancer. To protect your health, it’s vitally important that all patients make maintaining and improving their oral health a top priority. 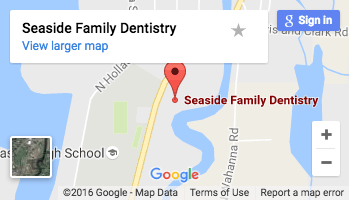 At Seaside Family Dentistry, Seaside, OR Dentist Dr. Scott Santos and our staff of experienced oral health professionals provide the dental exams and cleanings that are vital for protecting the long-term health of your teeth and gums. Scheduling regular dental exams and cleanings provides Dr. Santos and our team of gentle dental hygienists to remove built-up plaque from the surface of your teeth and below the gum line before the harmful bacteria causes the development of tooth decay or gum disease. Once cavities and gum disease begin to attack the health of your teeth and gums, long-term problems can begin to develop that could require potentially expensive and uncomfortable procedures to treat. At Seaside FamilyDentistry we use digital x-rays to gain a full understanding of the current state of every patient’s oral health so Dr. Santos can treat any problems before further complications can develop. 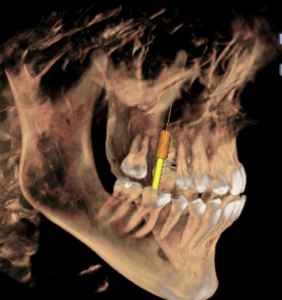 Dental cone beam technology offers Dr. Santos the ability to create a 3D image of a patient’s teeth, soft tissues, and underlying bone structure. This special type of x-ray equipment provides a far more detailed and accurate assessment of a patient’s current oral health when compared to regular two dimensional dental x-rays. Cone beam CT scan can also provide detailed images of facial bone structures, and can be utilized to evaluate diseases of the jaw and other bony structures of the face and nasal cavity. CT technology offers our patients at Seaside Family Dentistry a quickly, convenient, and completely safe option for Dr. Santos to gain a comprehensive understanding of their individual oral health needs. This will better enable Dr. Santos to design a customized treatment plan perfect for ensuring every patient enjoys a great looking, healthy smile for a lifetime. When a lifetime of wear causes cavities to develop, composite fillings offer Dr. Santos quick and convenient solution repairing a patient’s smile. Composite fillings, or tooth-colored fillings, provide patients outstanding durability and resistance to future tooth fractures. Composite fillings make an ideal solution to cavities that require a small- to mid-size filling to treat, and they can withstand moderate pressure from the constant stress of chewing. Composite fillings can be used on either a patient’s front or back teeth, and they blend seamlessly into the natural appearance of a patient’s smile. Composite fillings also offer a number of advantages when compared to traditional metal, or amalgam, fillings. Composite fillings help to strengthen and improve the health of a patient’s tooth while blending seamlessly into the surrounding tooth enamel. Unlike metal fillings, composite fillings contain no trace amounts of mercury and won’t stain surrounding teeth. When cared for with regular brushing and flossing, composite fillings can last a lifetime. Dental sealants help to prevent cavities by acting as a barrier that prevents plaque and lingering food particles from causing decay. Sealants are made from plastic materials and are applied to the chewing surfaces of a patient’s back molars, an area highly at risk of decay. While thoroughly brushing and flossing daily helps to eliminate food particles and plaque from the surface of your teeth, the bristles of a toothbrush cannot always reach into the grooves and depressions of your teeth where food and plaque particles can build up. Sealants offer protection to these vulnerable areas by “sealing out” plaque and food. Seaside dentist Dr. Santos can easily apply sealants to patients of all ages. Sealants are applied directly to the tooth, where it quickly bonds and hardens with the enamel, creating a bond into the depressions and grooves of the chewing surfaces of back teeth. The sealant acts as a barrier, protecting enamel from the harmful substances plaque produce that can harm the long-term health of your teeth. As long as the sealant remains intact, the tooth surface will be protected from decay. Sealants can easily withstand the force from chewing and can last several years before needing to be reapplied. Dr. Santos will check the condition of any sealants during each appointment at Seaside Family Dentistry and reapply them as needed. The likelihood of developing tooth decay begins at an early age, so children and teenagers make some of the best candidates for dental sealants, but adults can benefit from sealants as well. Commonly referred to as nature’s defense against cavities, fluoride is a naturally occurring mineral that helps prevent decay by remineralizing tooth enamel. Fluoride treatments administered by Dr. Santos help to strengthen tooth enamel against future plaque attacks, while also reversing the effects of tooth decay. Suffer from receding gums. The delicate roots of teeth become exposed when gums recede away from the base of teeth. Wear braces. Orthodontic appliances can easily trap food particles and bacteria in hard to clean areas. This build up of harmful materials can increase the risk of dental decay and disease. Teeth grinding, or bruxism, can seriously impact the long-term health of your teeth. Excessive teeth grinding can cause unnatural stress on the health of your teeth, resulting in the development of cracks and fissures in the surface of your teeth’s enamel. These cracks allow plaque to reach the delicate center of your teeth, where decay can being to occur and cavities develop. Teeth grinding generally occurs at night while you’re asleep. This means that most patients are unaware they even suffer from the condition until a problems develops. A custom-fitted mouth guard will help protect the surface of your teeth from the effects of bruxism. To create your custom mouth guard, Dr. Santos will take an impression of your teeth during an initial consultation. The impression will then be sent off to a lab where your custom mouth guard will be fabricated using a highly durable plastic that fits comfortably and securely over the surface of your teeth. 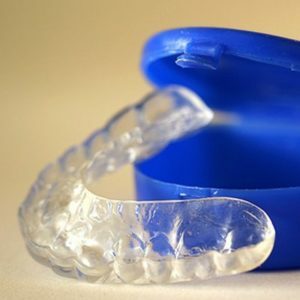 By wearing your mouth guard at night while you sleep, you prevent any wear teeth grinding would normally cause.